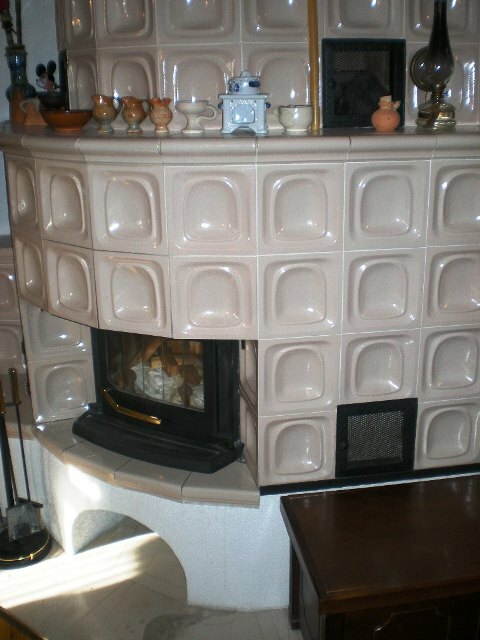 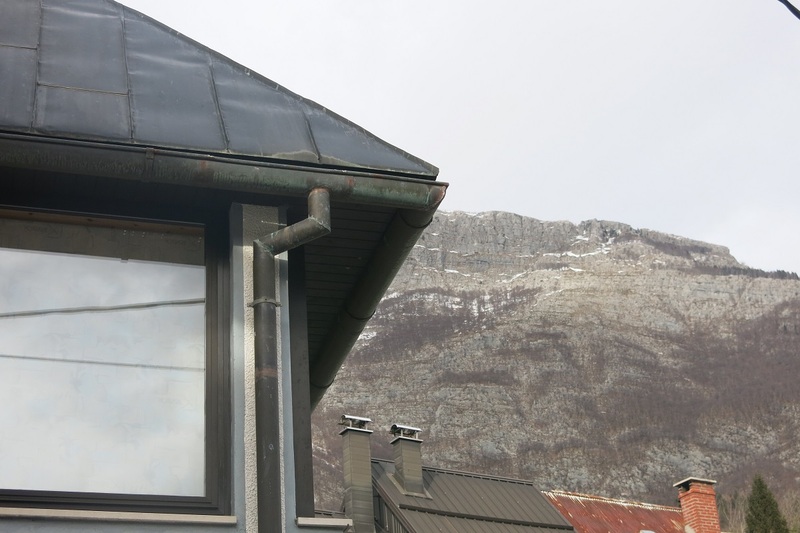 All utilities are connected, oil central heating. 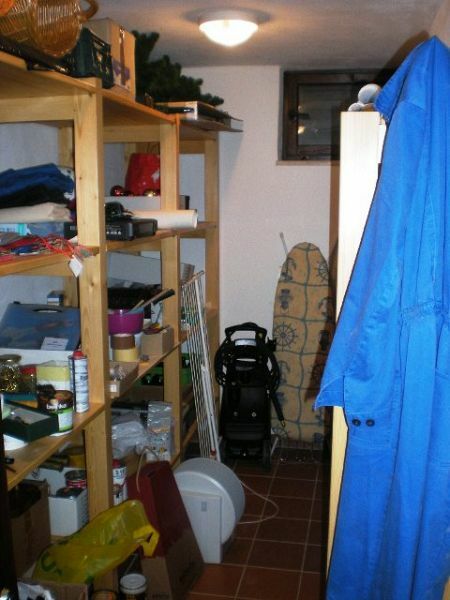 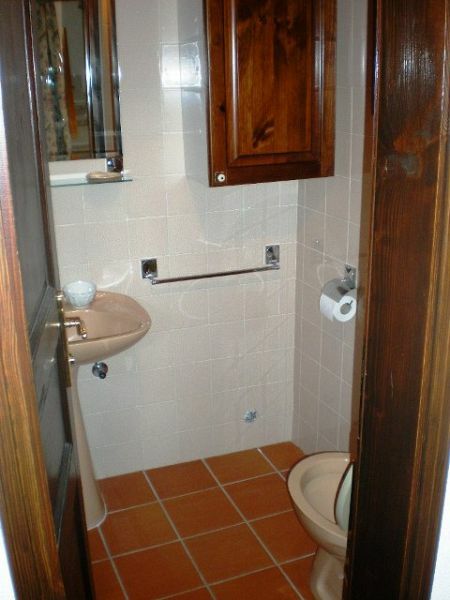 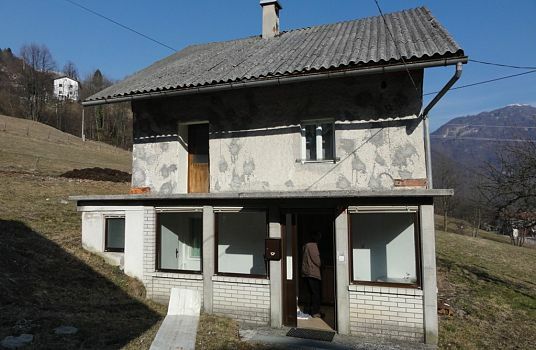 Good short term rental potential. 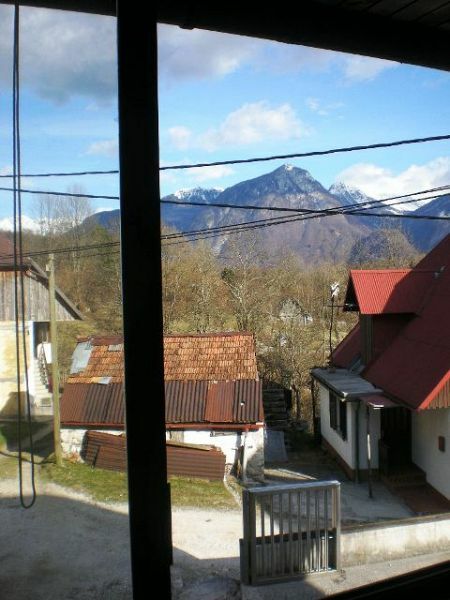 There are beautiful views of surrounding mountains and the Soca River valley. 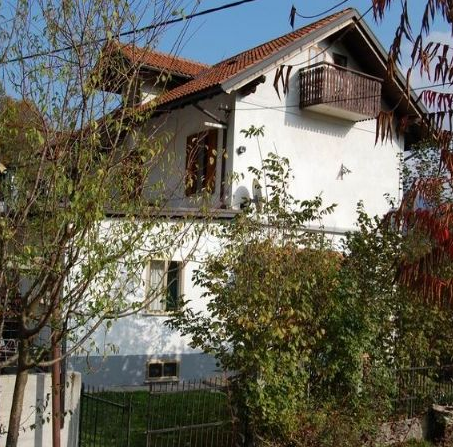 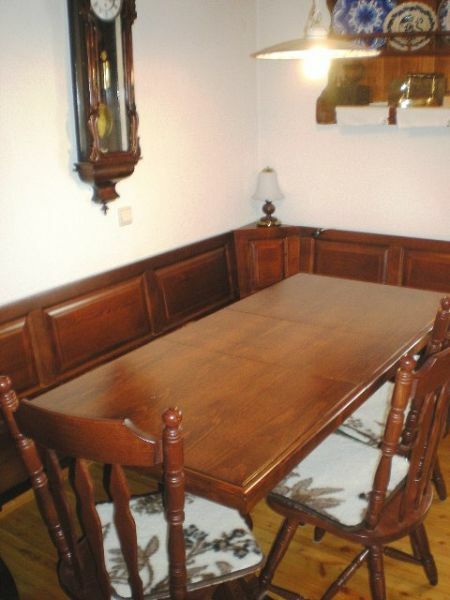 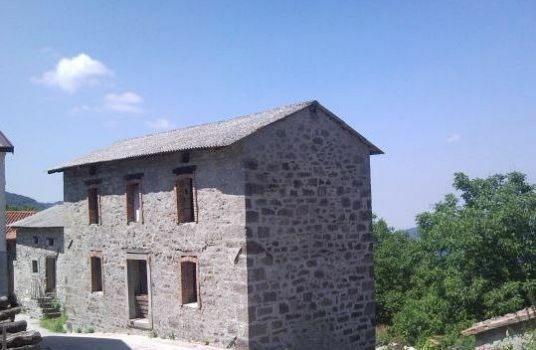 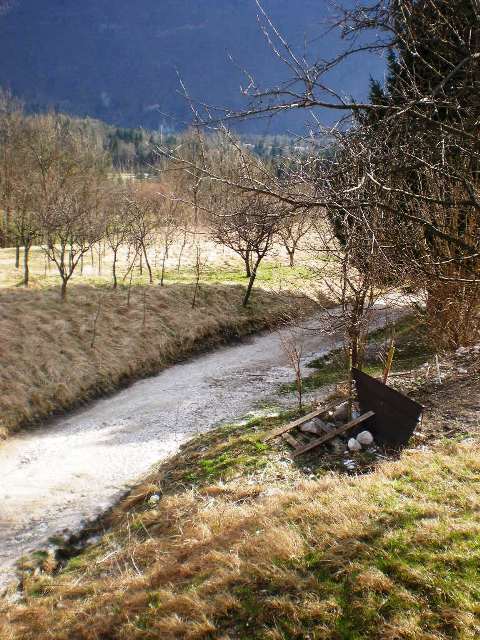 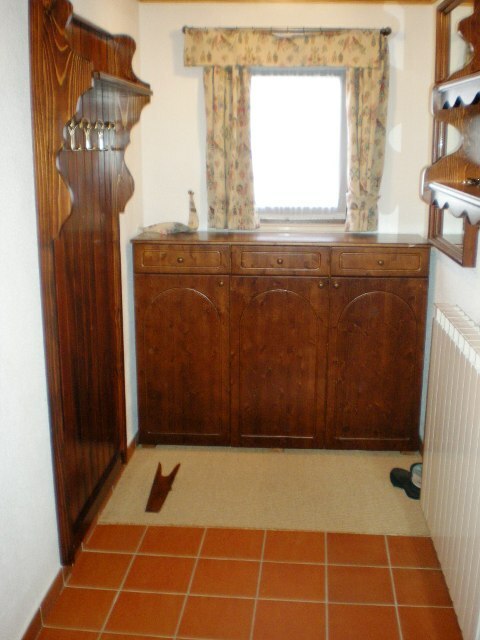 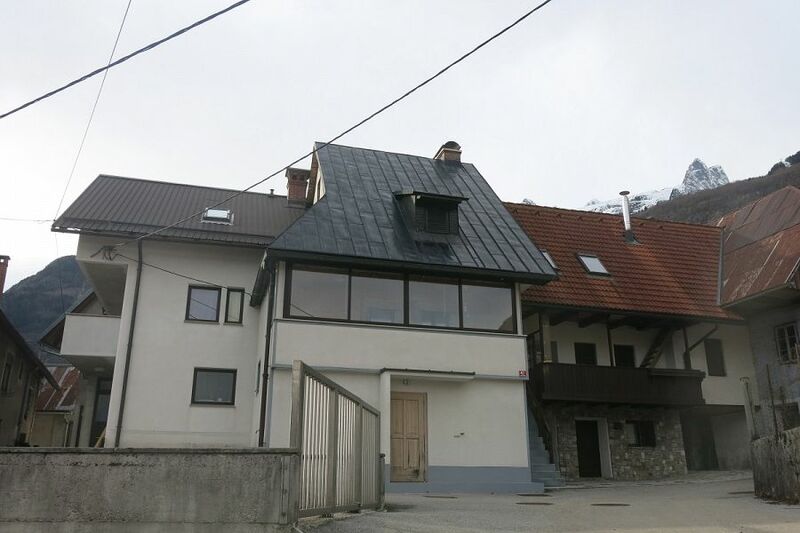 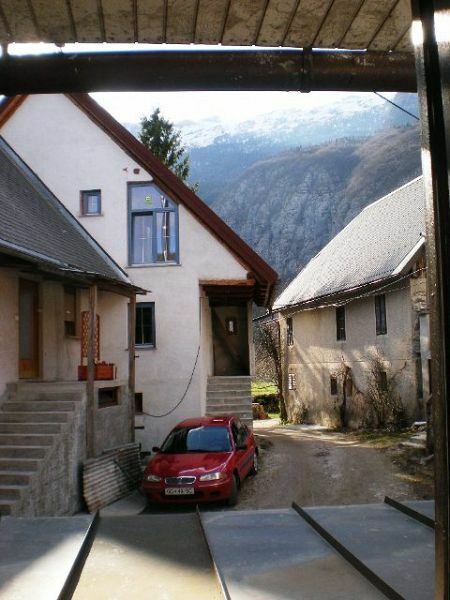 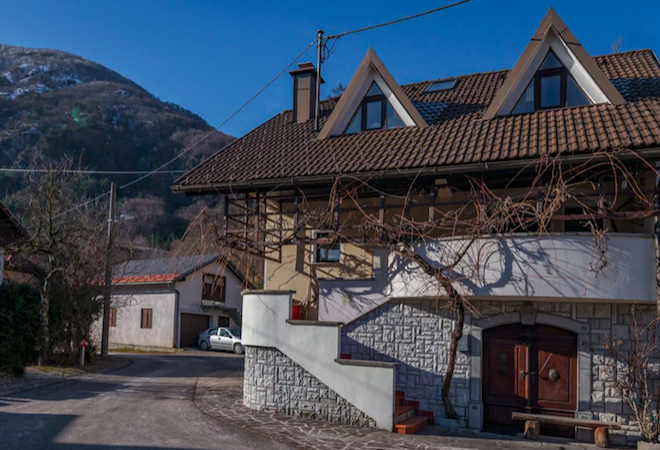 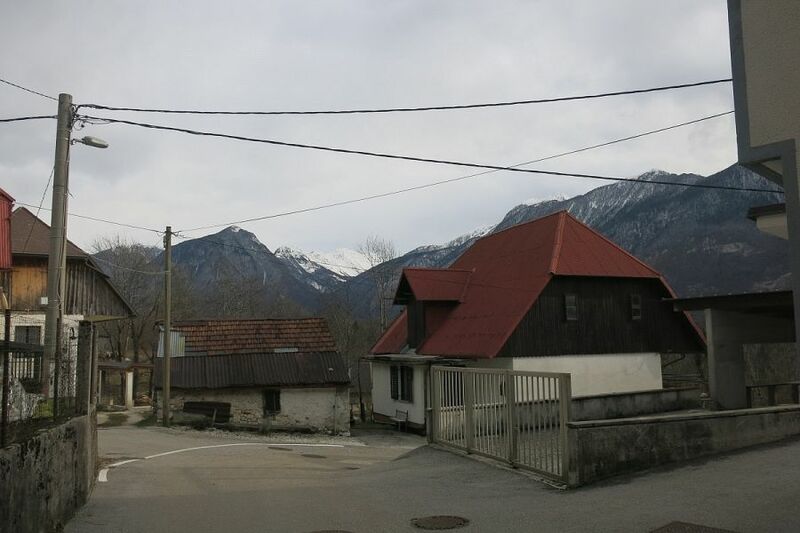 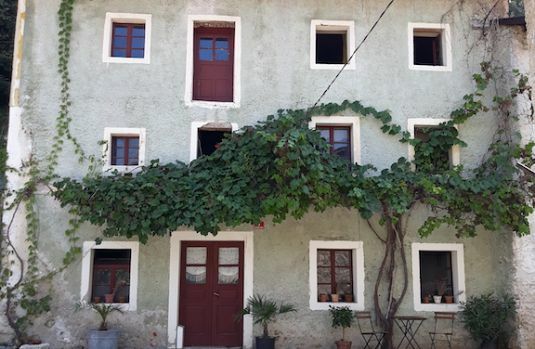 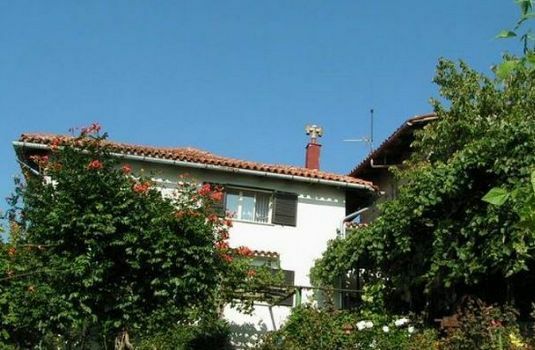 Attractive terraced house in the centre of the small village of Plužna, just 5 minutes drive and 30 minutes walk to Bovec / lifts up to Kanin ski resort. There is a new 9 hole golf course within a 15 walk of the house and numerous beautiful walking / mountain biking trails from the house. 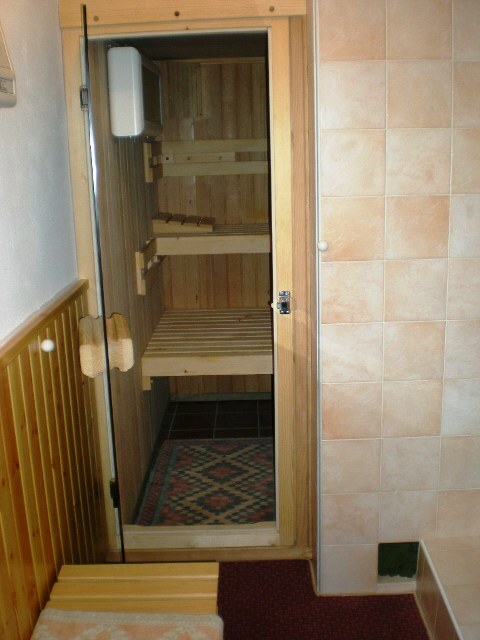 The house is renovated to a very high standard and requires no works – On the ground floor is entry room, storeroom, bathroom & sauna. 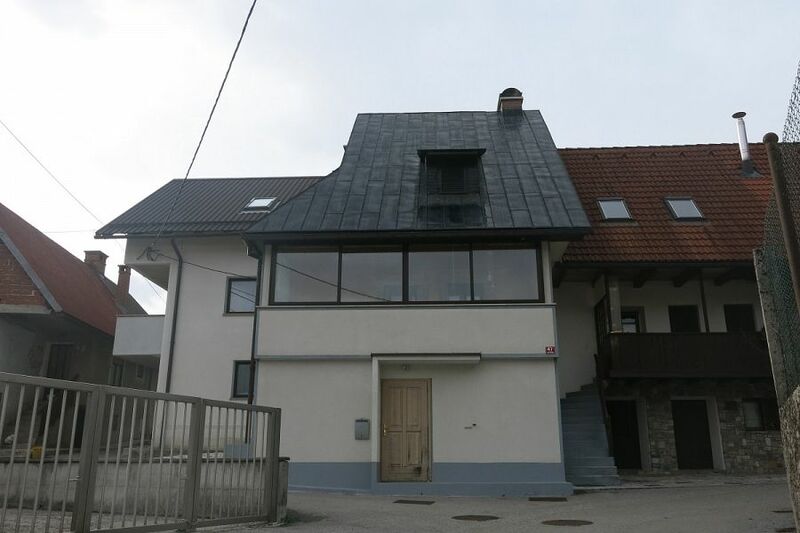 On the first floor is a very nice open plan kitchen / living room / dining room with lovely ceramic wood burning stove and open fire. 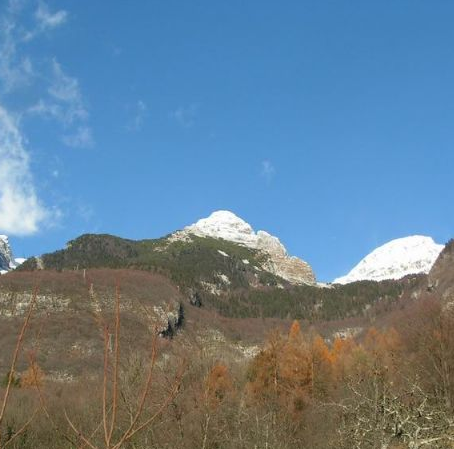 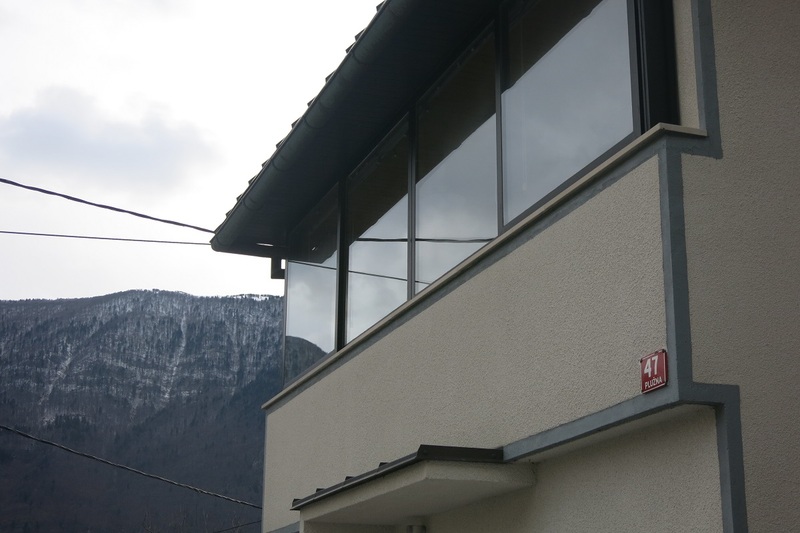 This has access out to a very nice balcony enclosed with glass for all year round use, with great views over the Bovec Valley. 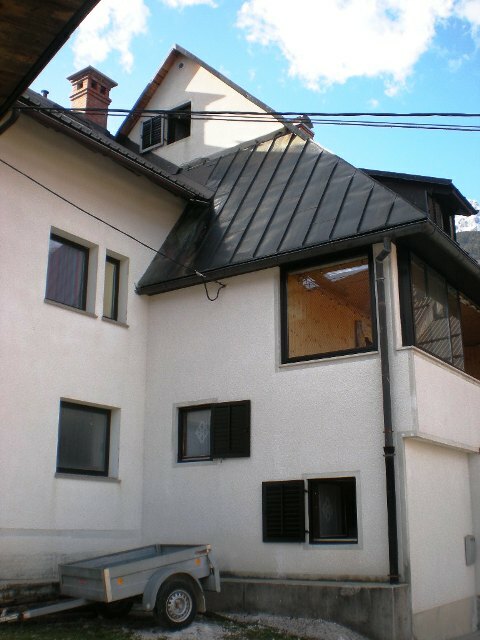 There are two double bedrooms and bathroom with large bath on the next floor and above this a loft room which sleeps up to 4 people. Outside there is a large covered parking area with space for 4 cars – which could be partly converted to give a terrace / garden area with lovely views of the Soca Valley. 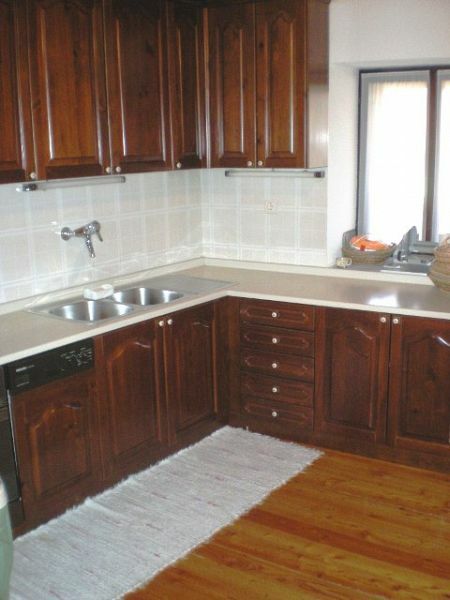 There is also a small piece of green space which could be used for a BBQ area or other uses.